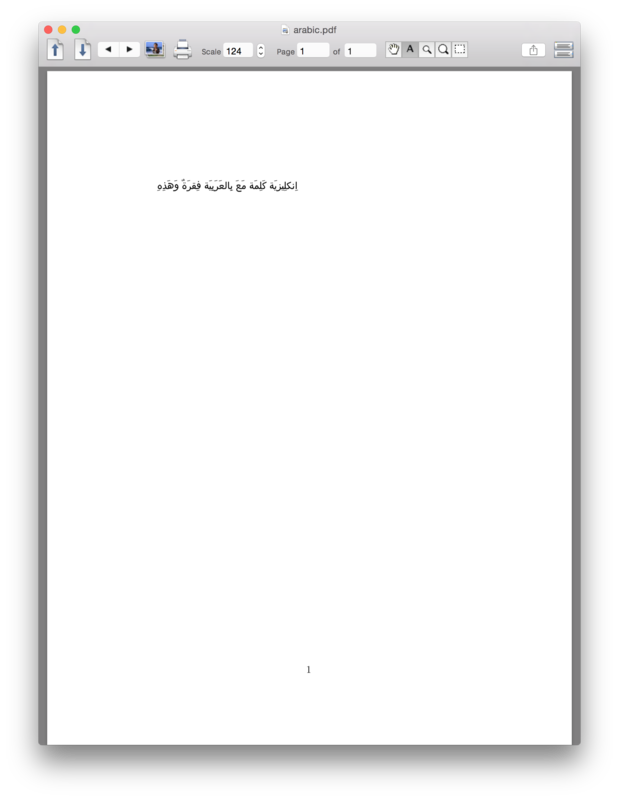 I'm trying to include Arabic text in an English document (I'm a new latex user), but I can't seem to get any Arabic text to render at all, using xelatex or any kind of tex. 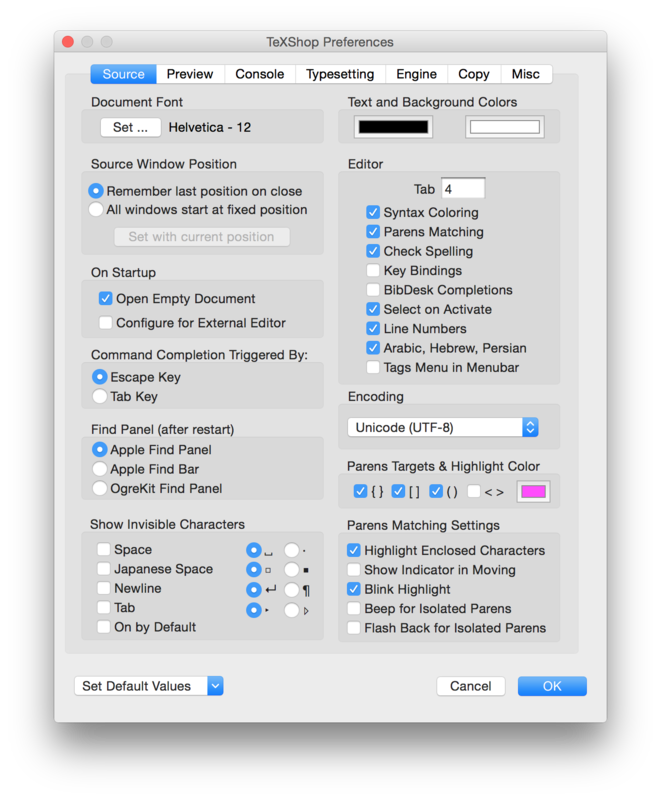 I'm using texshop 3.51 on a mac. I can't get this basic example to work, it just displays question marks in the output pdf. I've downloaded Amiri (and also Scheherazade and Lateef) into Fontbook, and they show up if I go Source->Font->Show Fonts in texshop. If I remove the Amiri part it still doesn't work. Is there anything I can do? I've looked at other links here, like Arabic text with Polyglossia and How write a one-sentence arabic text in a latin document? but I can't even render any of those examples. Thank you so much for any help! I'll love you forever if I can get this to work. 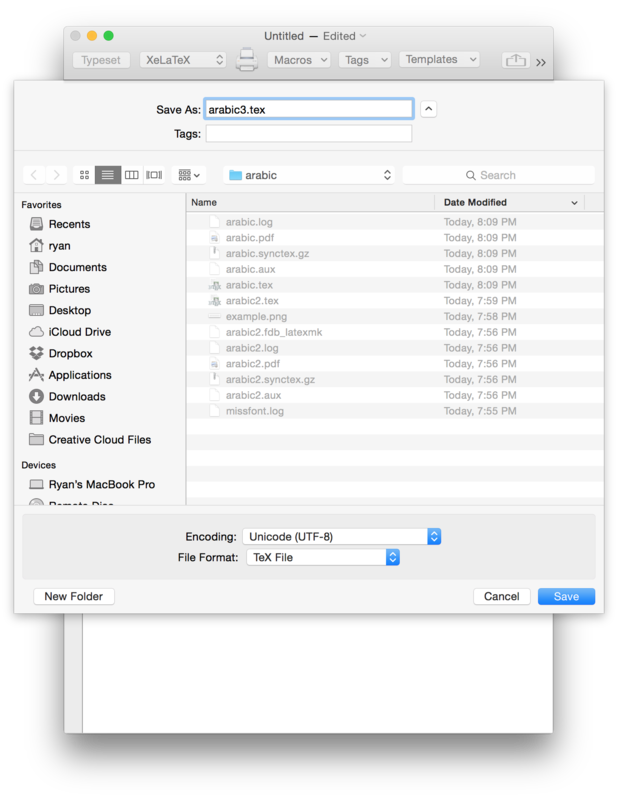 This is an issue with TeXShop's file encoding, not XeLaTeX itself. TeXShop's settings allow for the encoding to be changed, but I can't seem to make it work. (see here I've selected "Arabic, Hebrew, Persian" and changed the encoding to Unicode UTF-8, which should work in theory, but TeXshop reopens the file with question marks, and therefore passes question marks to XeLaTeX. I'll keep looking at this, but for the moment as a workaround, you can use a different text editor and then compile inside terminal using xelatex [filename]. 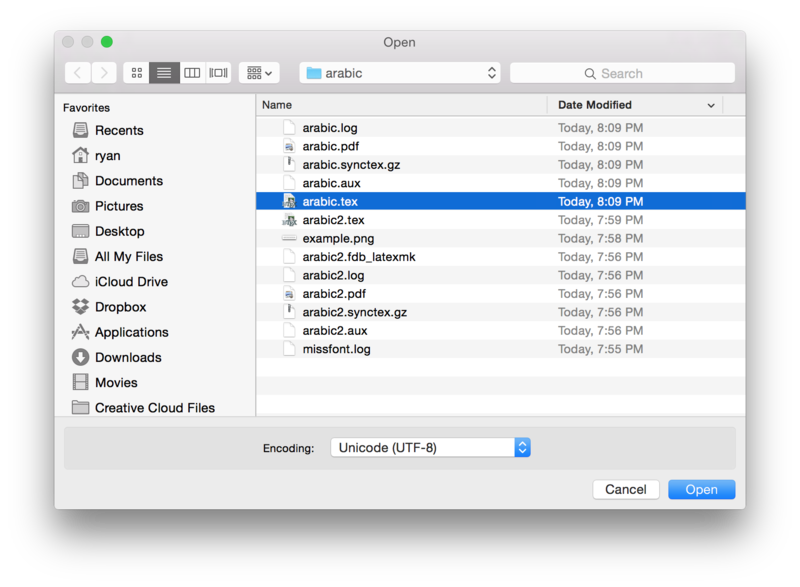 The key was to apply the settings as I did in the above screenshot, restart TeXShop, and then reopen the file explicitly with the right encoding, then paste the Arabic in. Note: These examples are all using my simplified MWE above, not @cfr's suggestion. Not the answer you're looking for? Browse other questions tagged xetex languages arabic arabtex arabxetex or ask your own question.